A Three island experience in the tropical paradise that has captivated painters, writers and lovers for hundreds of years. Depart early this evening for the warmth and beauty of Polynesia on your non-stop flight. 8 hours later, and you’re in Tahiti… the ultimate South Pacific destination. Following a traditional Tahitian welcome, you’ll fly on to Moorea with its jagged emerald peaks, palm-shaded beaches, and spectacular lagoon…give yourself over to the pleasure of island living in this tropical paradise that has captivated the eyes and hearts of painters and writers for hundreds of years. 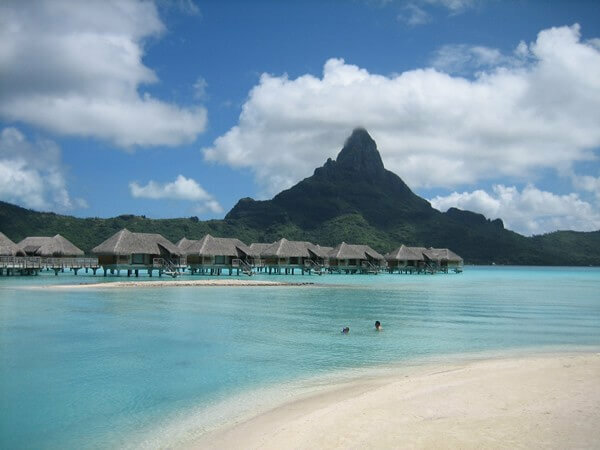 Fly to Bora Bora, a breathtakingly beautiful island with an informal, unhurried way of life. Unwind at your hotel, take a jeep safari around the island, snorkel the fringes of the barrier reef, stroll the main street of quaint Vaitape village. Fill your time with countless adventures, or lay back, relax, and do absolutely nothing at all. Witness one of the most amazing and romantic sunsets you will ever see., sip a cocktail…enjoy the simple pleasures and unique natural beauty of Bora Bora. Return to Tahiti. 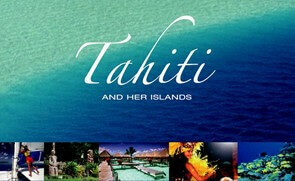 A land of unbounded beauty, Tahiti is the most famous of the Polynesian islands. Shop, dine and explore the local color. Take a full day circle tour of the island with our inclusive option. 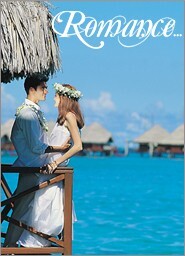 Bid farewell to paradise as you board your return flight to the U.S., arriving the next morning. Upgrades available on all hotel categories.